Dr. Maroon is a world-renowned neurosurgeon with extensive experience in the medical field. Educated at Indiana University, Georgetown, and Oxford, Dr. Maroon lives and works in Pittsburgh, Pennsylvania where he serves as the leading neurosurgeon for the Pittsburgh Steelers. With more than 40 years of experience, research, and study, Dr. Maroon continues to be a leader in his field, specializing in minimally invasive surgery, sports medicine, personal fitness, nutrition, and innovative concussion management. 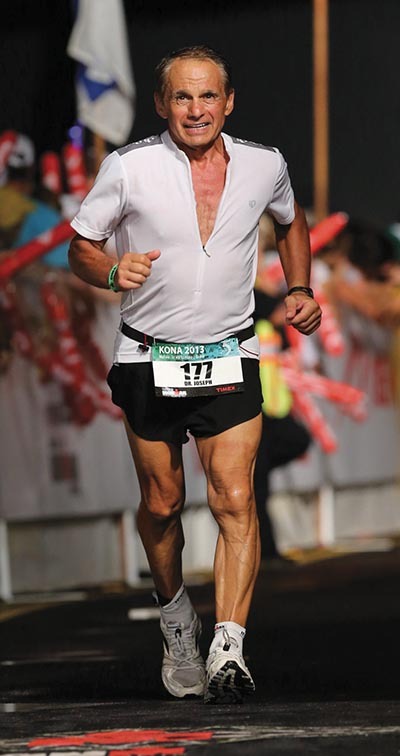 As an Ironman triathlete, Dr. Maroon lives and breathes his own advice and is a fierce advocate for square living. After graduating with a degree in English and art from Hamilton College, Carrie worked as a writer with a communication design firm. She later earned a master’s in special education from American University and began her teaching career, during which she’s taught students of all ages, has led over 50 educational workshops and trainings, and has written articles for several educational journals. She has also developed numerous curriculum projects, one of which led to her first book, Panorama: An Introduction to Classical Mythology. Carrie continues to do freelance writing work and is currently the writer-and artist-in-residence at an elementary charter school.